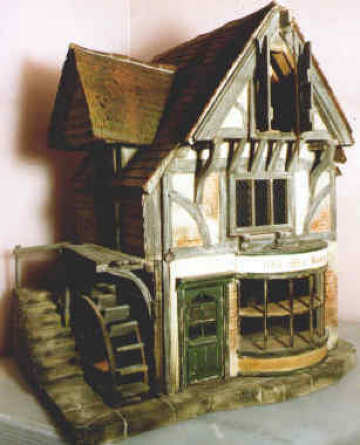 This beautiful watermill has been featured in magazines all over the world and can be suited to many uses inc. teashop, bakery etc. It opens on the front to reveal three floors - shop area, exterior stone steps to upper floor and ladder to the loft. On a base 24" X 18" , shopfloor area 13" X 15" large inglenook fireplace suitable for a large oven etc.